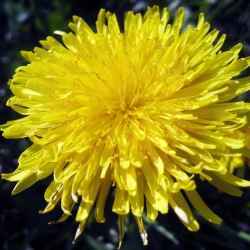 I think dandelions are among the most under-appreciated flowers. They are actually quite pretty and the fluffy seed balls they produce are magical. 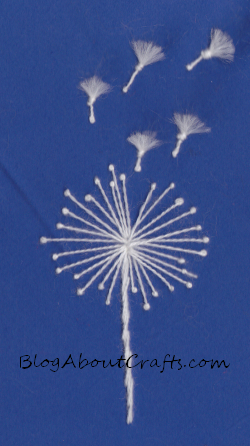 Seemed like a great idea to make my own embroidered dandelion flowers. Yes, that’s a link to Squidoo and not one of my own sites. About a month ago, I began experimenting with writing articles on Squidoo. It’s like one big giant blog written by thousands of people. Once it became a great way for people to build backlinks to their sites, it became a bit of a free-for-all. Fortunately, that is changing. I find it’s an interesting time over there as they are getting serious about upping their game and have been flagging many articles that are poorly written or offer very little to their site visitors. They’ve done a lot but they still have a long way to go. I’m new over there and it remains to be seen how well I’ll do as a Squid and if I can use my time over there to help my sites a bit. Yes, this post is about embroidered dandelions and I am getting there, trust me. 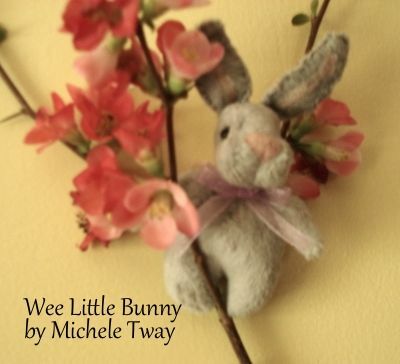 I thought it would be fun to explore some new stitches as well as wrap my needle and thread around the dandelion – both in flower form and the fluff-ball seed form. I tried my own idea for making fluffy goodness and while it doesn’t fall apart once the loops are cut, it is a bit of a mess. Enter turkey work! The stitch is crazy easy and yet locks the threads tight so that they can be cut and fluffed. You can see my knotted mess in the bottom corner as well as some attempts on doing some sort of couching over the fluffy stuff. In case I haven’t mentioned it before, I almost always keep a scrap bit of felt or fabric nearby to play with my ideas. That way I don’t weaken my good fabric with excess holes and don’t risk cutting stitches I want to keep when cutting out attempts that failed. I don’t generally follow patterns. I might sometimes use something I’ve seen as inspiration but I haven’t worked with a pre-printed pattern in years. Problem with “winging it” is sometimes things don’t turn out how we envisioned them. As you can see by most of the stuff on my experimenting scrap. So, after playing around a bit, it was time to make my first attempt. Note to self, and anyone who might be listening, felt can pucker terribly. Use an embroidery hoop; even when just experimenting because if you get something cool, it might not be usable for the puckering. This embroidered dandelion didn’t turn out exactly how I had envisioned it. Making the cup underneath the flower head proved more elusive than I thought it would be. While I think the overall look is cool, I think it looks a bit more like a thistle flower than a dandelion. Laying my flower on the scanner bed appears to have hidden some of the puckering but sadly it’s pretty bad. 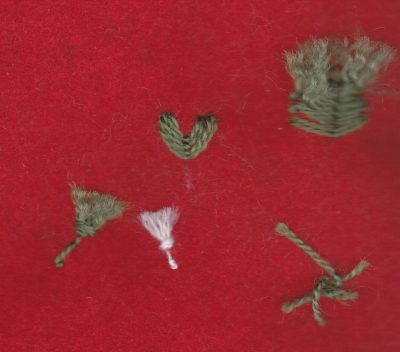 In case you’re wondering the stem is made of a single line of chain stitch surrounded by a kind of running stitch. 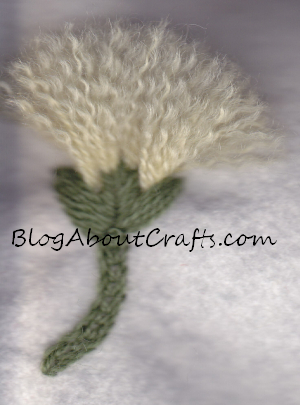 The lovely fluffy yellow, flower part was made using turkey work. The cup part of the flower is just a series of satin stitches. The trick with them was to keep the turkey work from bunching up. I love the way this turned out. For the stem, I made two long satin-like stitches and then made a third stitch where I coiled the thread around the first two stitches. In one of those happy accidents, I ran out of thread when I only needed about one more of the long French knot or pistil stitches. Ahh, seemed like a bit of free inspiration. I knew that I had wanted to make some fly-away seeds and the gap provided the perfect place to put them. I love how the tufts came out. I used a Turkey rug stitch or Ghiordes knot. 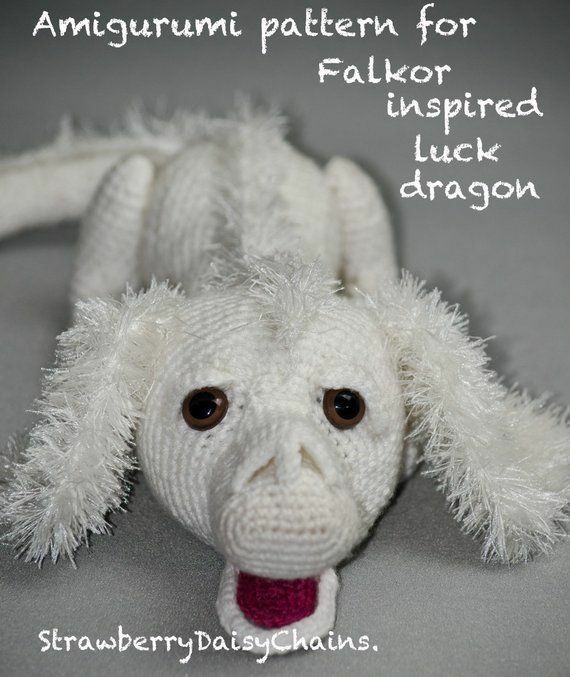 I hope to get a tutorial up on The Crafty Tipster shortly. 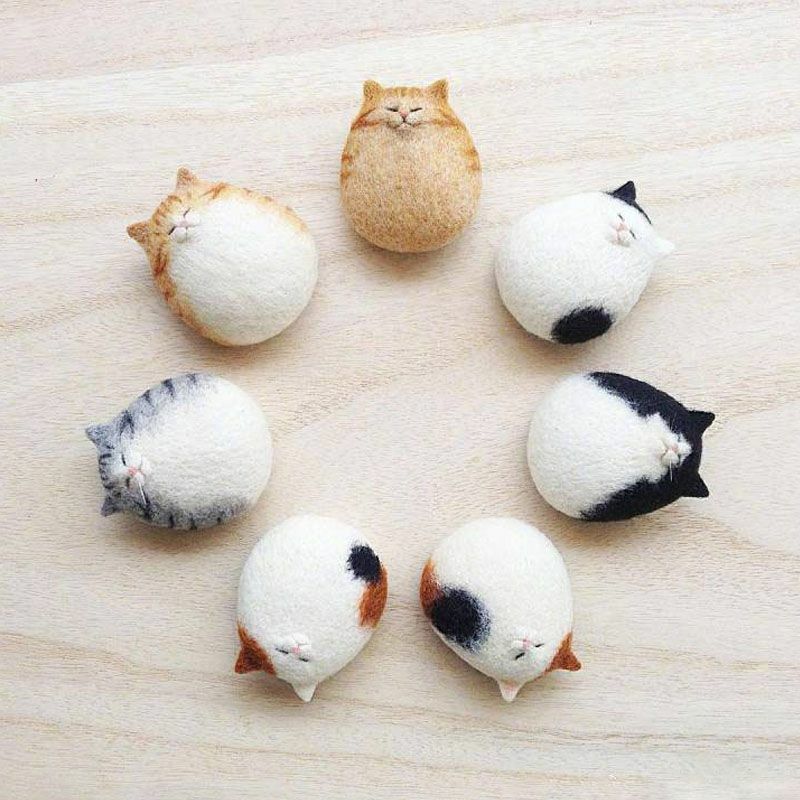 It uses no knots and yet you can use it to create fuzzy pile. As the name implies, it was originally used by Turkish rug makers. If I get ambitious and there’s interest, I’ll also create a quick tutorial on how to make your own embroidered dandelion flower. 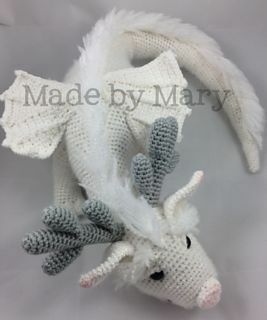 This entry was posted in Craftiness. Bookmark the permalink. Open the conversation by being the first to comment on Embroidered Dandelion.